STEM: Epic Heroes poised to change the game and keep young learners coming back for more. Hologrin Studios, a squad of artists, software developers, designers, and game players, has developed a silver bullet in the fight against modern-day educational boredom. 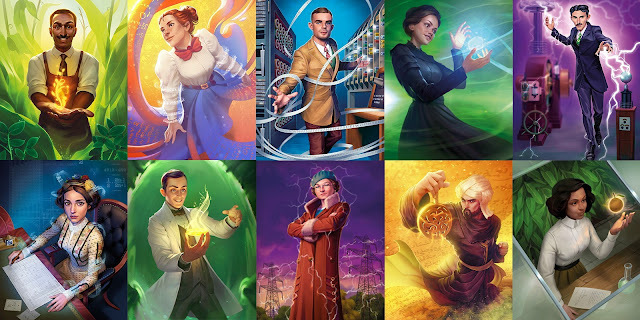 It's called STEM: Epic Heroes and it features superheroes of science, champions of chemistry, exemplars of engineering and many more in an artistically brilliant strategy game that can be played virtually endlessly to teach, engage and inspire. STEM: Epic Heroes' creation begins in a world where superheroes wear capes and jerseys and are worshipped for strength of muscle over strength of mind. That may be acceptable to some, but the creators of STEM: Epic Heroes set out to uncover and celebrate an entirely different breed of hero; those pillars of Science, Technology, Engineering and Math (or STEM). They did this by creating a game, but not just any game. STEM: Epic Heroes is a genius card game with incomparable illustrations, vivid educational worth and engaging gameplay. 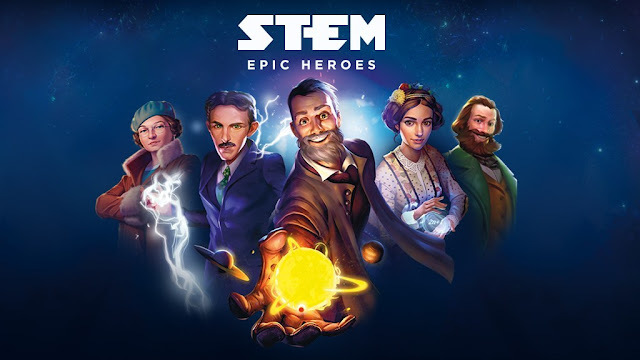 STEM: Epic Heroes features superheroes of science, champions of chemistry, exemplars of engineering and many more in an artistically brilliant strategy game that can be played virtually endlessly to teach, engage and inspire. In a matter of hours – 12 to be exact – STEM: Epic Heroes was fully funded on Kickstarter. That's a quick $10,000 worth of backer support for a game sure to ignite young minds and make learning both addictive and fun. Now at almost seven times that amount pledged with a few days left in the campaign, it's clear that this game has struck a chord with many who are anxious to see what's next, and willing to put their money where their computer mouses are. Speaking of money, top secret intel on the latest hero card still in development has just been released by Hologrin Studios. We can now share that the newest card is modern-day technology hero Satoshi Nakamoto, creator of the cryptocurrency bitcoin. Learn all about his epic journey, and that of fellow heroes like Isaac Newton, Ada Lovelace, Thomas Edison and many more.